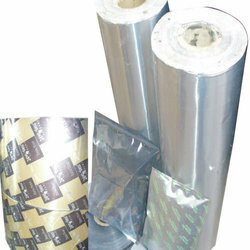 Exporter of a wide range of products which include aluminum foils and printed aluminum foils. Our company is involved in manufacturing and supplying Printed Aluminum Foils that are made available in printing of 0.025 mm, 0.020 mm, 0.04 mm and 0.03 mm sizes. Eco-friendly and durable, these aluminum foils are used for keeping medicines free from gases, moisture, vapor, odor and dust. Clients can obtain the selection in various thicknesses, sizes and designs. Looking for Printed Aluminum Foils ?